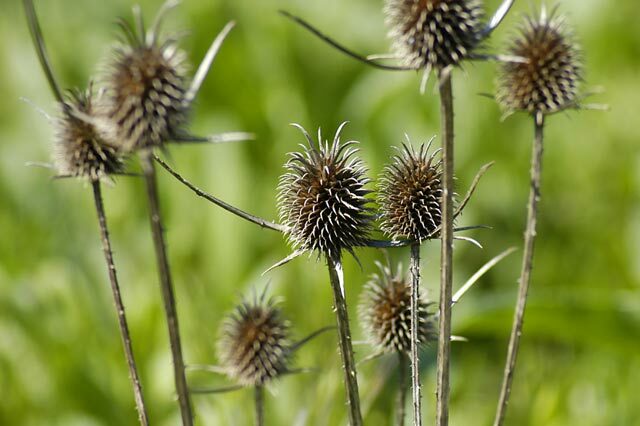 In botany, there are plants that propagate by producing sticky seeds that hitch a ride in the pelts of passing creatures to a new life far away from the mother plant. A similar thing sometimes happens with writers. Unknowingly and in passing we collect a seed which lies dormant in our unconscious, often for years. Until one day, when conditions are favourable, it germinates and grows into a story. The two paintings are almost identical in composition, though Fiumana is much more impressionistic in its execution. If you haven’t yet read Esperanza Street you might be wondering what the connection is between these paintings and a novel set in 1980s Philippines. I saw Fiumana for the first time at the Brera museum in Milan in 1997. I walked into the room it was in and was immediately taken by it. Fiumana is a large canvas, so large that it was hard to find a spot from which I could get a sense of the painting as a whole. It dwarfed the rest of the room. 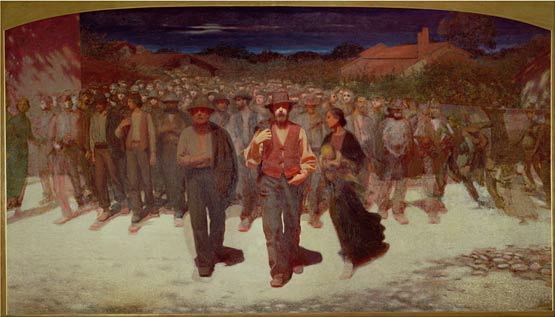 Fiumana and Quarto Stato depict a protest march by agricultural workers. 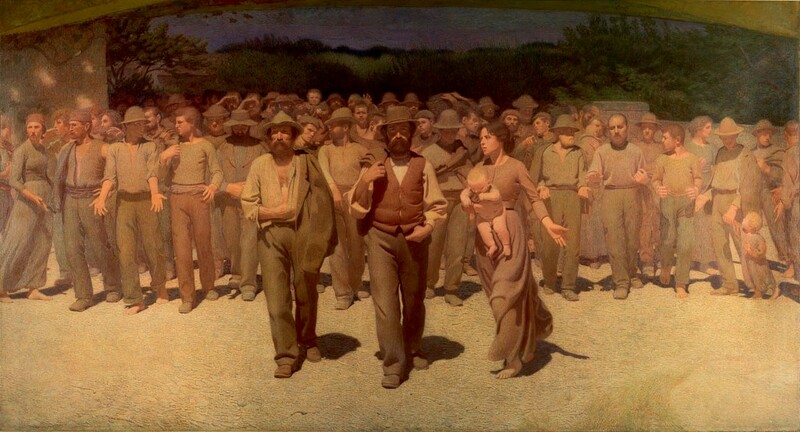 In fact Volpedo’s opus was dominated by socialist themes and the political issues of the day, by hunger, poverty and class. But that wasn’t what struck me. Fiumana seemed to me to embody the shape of a story. By this I mean the way in which the individual narrative threads of a story emerge, become clearer and then cohere to make a whole. I liked this idea so much that I stuck a postcard of Fiumana on the wall above my desk and it remained there for almost a decade, following me through several house moves. In 2006 I sat down to write the first draft of Esperanza Street. One of my ambitions was to see if I could write the book in such a way that the entire street itself would function as a protagonist. As I wrote I realised that one or two narrative threads would have to be brighter and clearer than the others to draw the reader through the book. It made sense that this central thread should be Joseph’s, my narrator’s. When Esperanza Street went to print I started to clear out my study and came across the postcard of Fiumana that had become so much a part of the landscape of my workspace that I’d forgotten it was there. That was when it hit me how much Fiumana is Esperanza Street. To me, the figures in the forefront are Joseph, his father and Lorna with her baby walking ahead of a mass of people who emerge from the background in order for their stories to be heard. The influence of this painting on my novel was very much unconscious. However, to my eyes, the resemblance between sticky-seed offspring and parent plant, even a century apart, is clear.